Planning and managing an event can be tiring and time consuming. Such activities involve a lot of efforts, time and resources. However, the best way is to use an event outline template and there are numerous types that you can use in doc or excel formats. 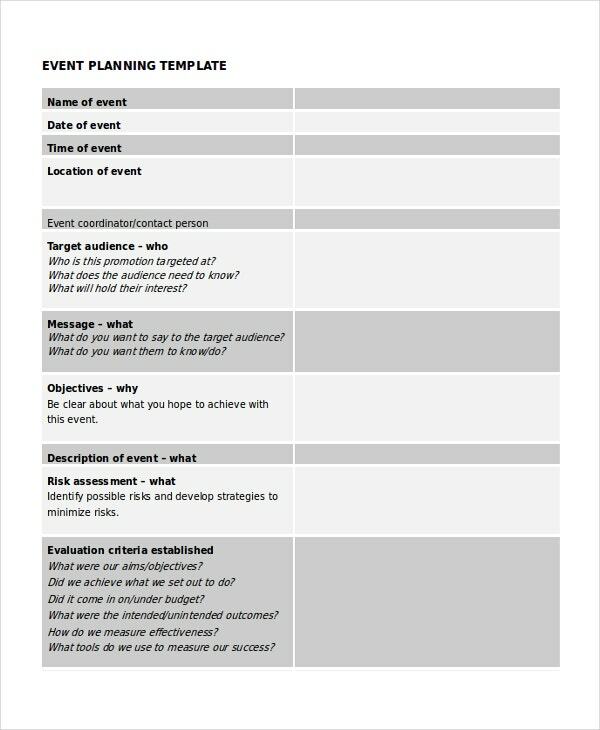 By using an event Outline Templates, you can get ahead of the entire event with your planning. It’s simple to use and the design is simple to read. This event planning template is a fully customizable template that is ideal to be used for events of any sort. It has all the details of the event including target audience, objectives of the event and other similar information. You may also see Blank Outline Templates. This unique layout template can be used by students to make event proposals. All the details of the event can be neatly penned down in this template. You can easily download this template from the internet for free and customize the layout the way you want. 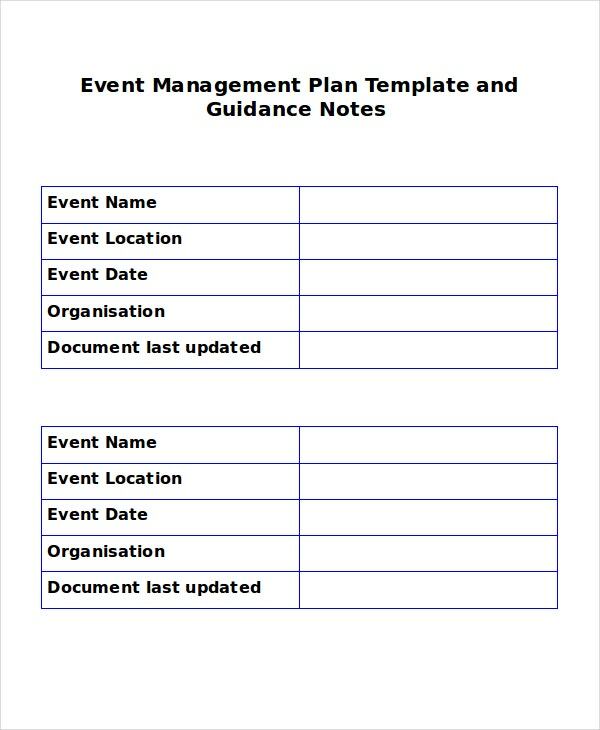 If you are looking for an event management plan template, this particular Event Management Plan Template is just apt. It has a precise and concise layout and design and it can be used for corporate and educational events. 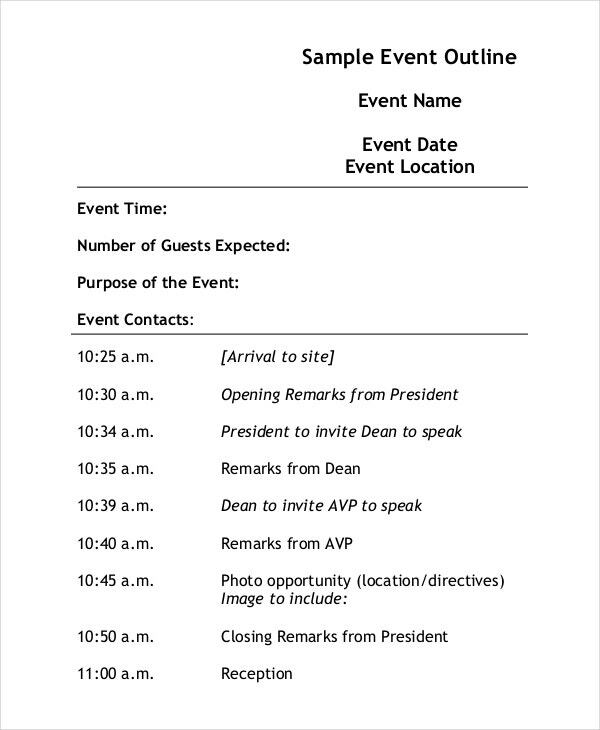 The above template is useful for those who need to outline the pre, post and the day of event details. 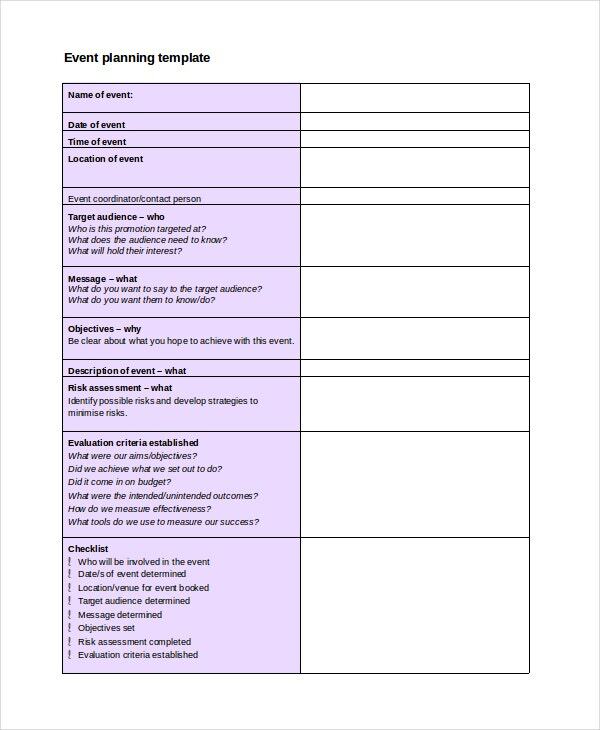 This template outlines the main details of the event like the time, venue, date, purpose of the event, the number of guests, etc. The design is simple and easy to read. 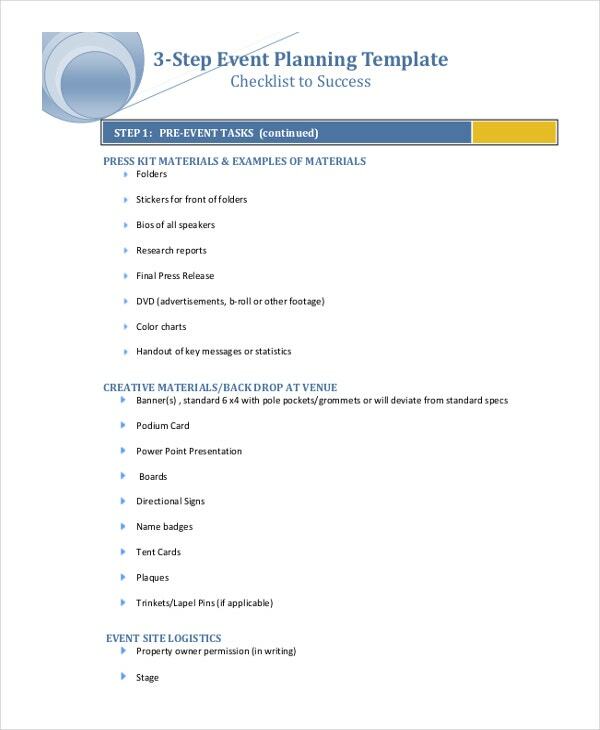 Whether you organize events frequently or scarcely, whenever you do, it’s a good idea to have a pre-designed event template in hand. This event Outline Templates is designed to not only be user-friendly, but editable as well. This allows you to change the event template to fit the needs of your event. They help to sort out certain confusions and doubts about the event. 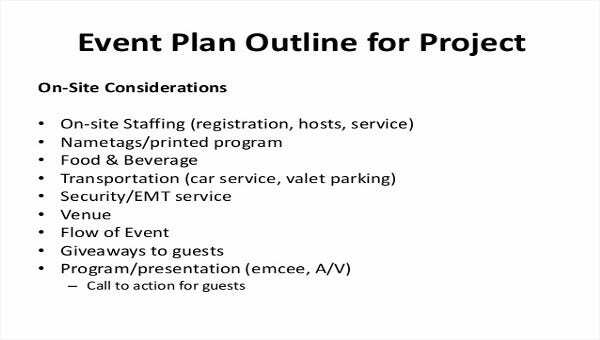 Event outline templates can be used to offer a formal invitation to the guests and company’s employees. Event outline templates obviously reduce a lot of your stress regarding an event planning since everything is already made, and you just need to fill in with the appropriate details. Event planning can be a long and complicated process, and event planning templates are a boon for professional event planners. Numerous event templates are used by business professionals, NGOs, and academic event managers. The concept and the theme of the event should reach the right audience, and for this, there needs to be the right event Outline Templates. The best thing about the event planning Outline Templates is that it’s free to use when you need it. It helps in saving time and organizing various activities in well-defined form. It is a brilliant idea to know what to communicate to your audience. These templates are available in online mode and can be downloaded as per individual requirements and can be edited as well. These are helpful in avoiding messy tasks and help in structuring all the activities sequentially. Our templates are perfect for every kind of event. These templates are easily editable in MS Word and PDF formats. 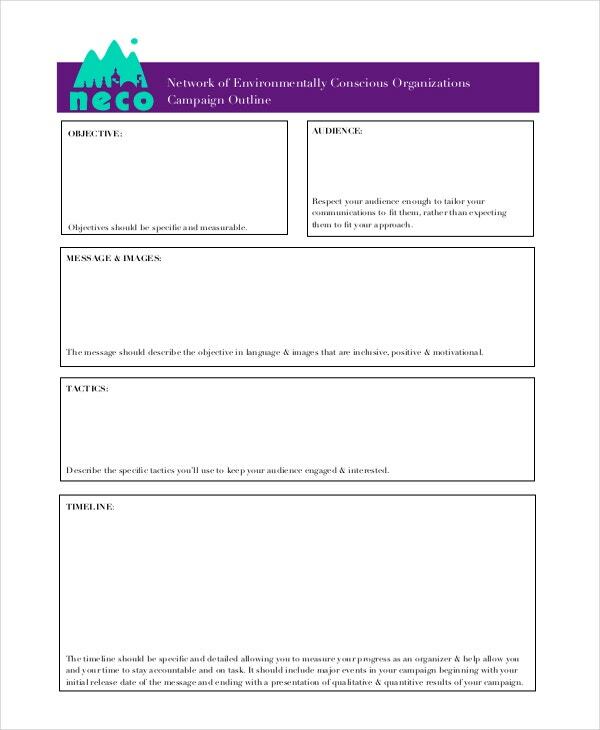 They are available in various formats and versions to help you create and share a detailed event brief. 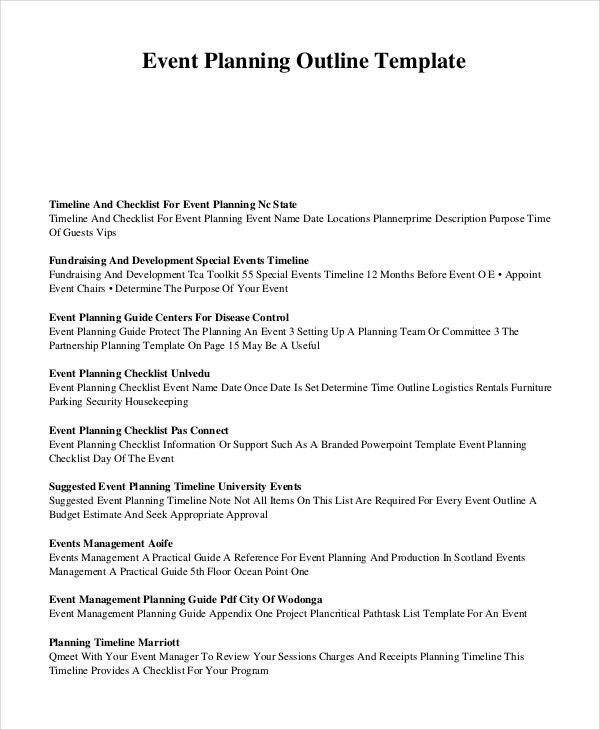 You can easily modify the sections of these templates to plan, keep a check, and organize very complex event planning schedules with great ease.